Last summer I discovered Muscadine grapes, or rediscovered them, I suspect. As soon as I bit into one of the nearly plum-sized orbs I was “transported” to the lake at my grandparents’ property on a large orange grove to a time when Grandma took me down near the water’s edge to her blackberry and grape patch. 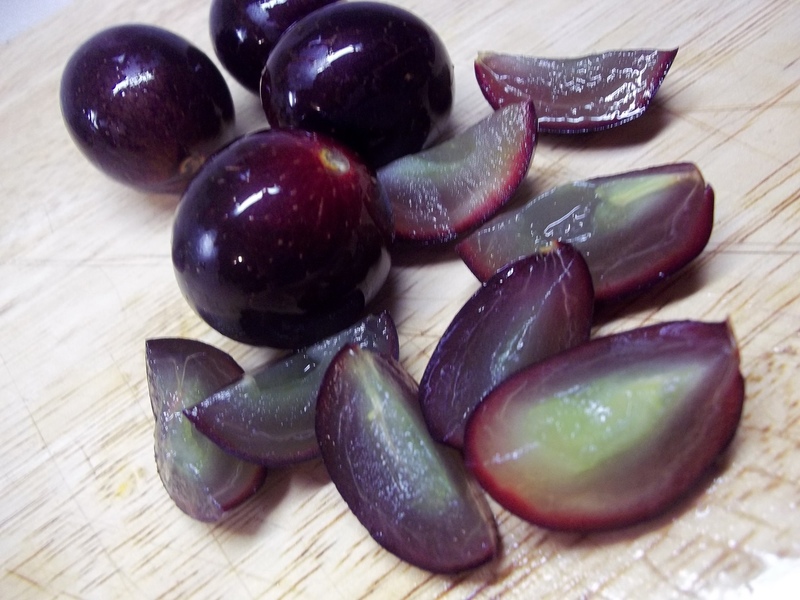 I’m not sure if those were Muscadines that she plucked for me that day, but these tasted the same and I was sold. I waited all summer for the Georgia Muscandines to show up at the grocery store and finally there they were. While standing at the meat case trying to decide what we wanted for dinner, my family and I finally chose pork chops, something we hadn’t had for a while but really enjoy. At the time, I hadn’t thought of putting the two together, but while I was grilling them at home, I spied the remaining bottle of white zinfandel that my husband gave me in one of those picnic four packs for Mother’s Day. 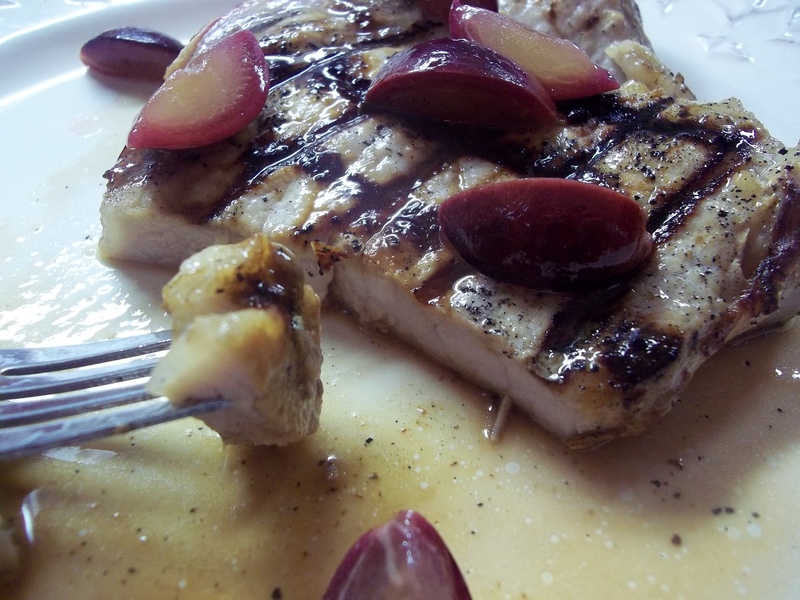 I left everyone else’s pork chops alone, by request, but threw together a quick sauce for mine. I love the combination of savory and sweet so this made me very happy. I only made one serving but have increased the amount for the recipe to be enough for four chops. 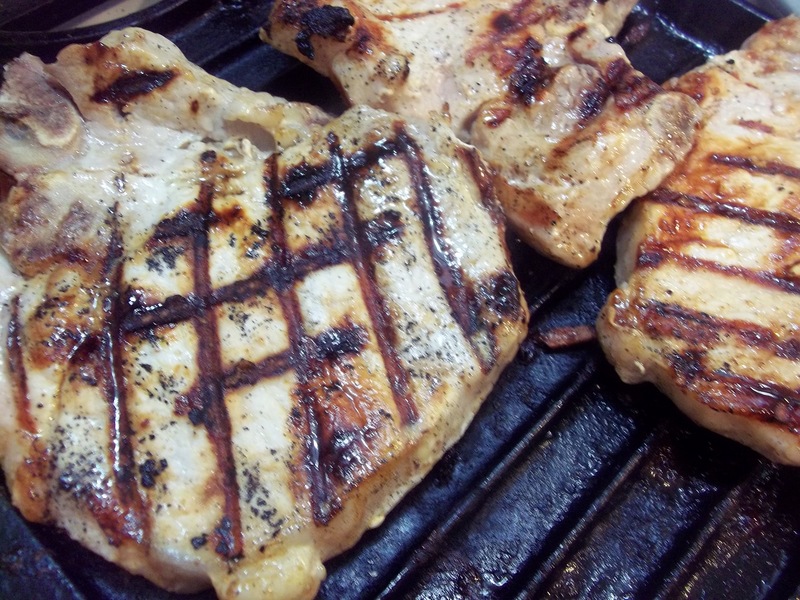 Grill pork chops until they are cooked through. Melt the butter in a small pan over medium to high heat. 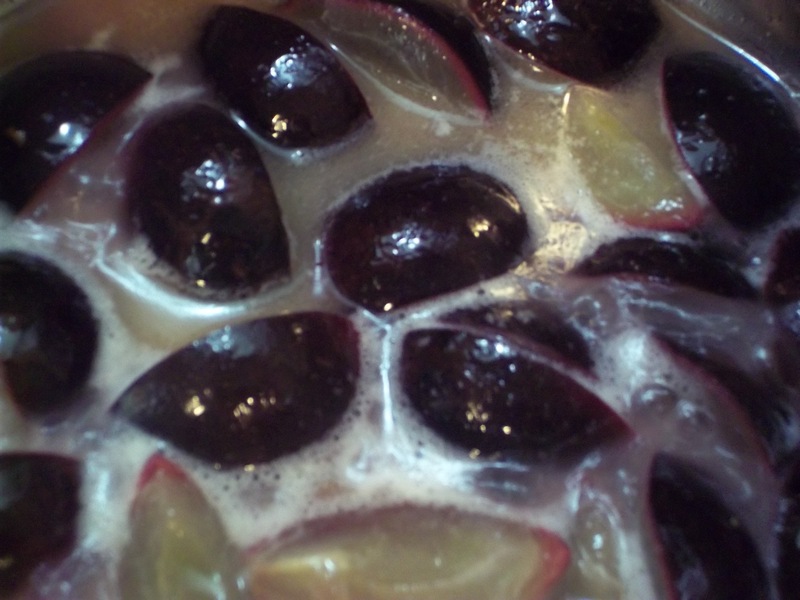 Toss in the grape quarters and saute for one to two minutes. Add wine and reduce the liquid, cooking for another minute or two until thickened a bit. Add salt to taste and drizzle the sauce over finished pork.